A Rock Solo Bluetooth karaoke microphone covered in ashes is seen after Ashley Sawatzky says the product exploded in her daughter's bedroom, causing a fire. About 70,000 devices sold in Walmart stores across Canada have been recalled. 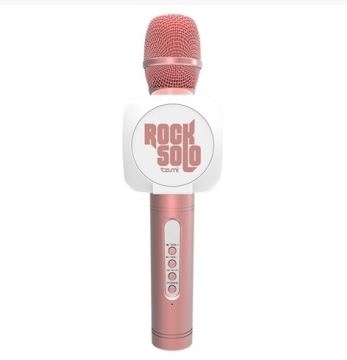 A popular karaoke microphone sold across Canada is being taken off shelves after multiple reports of the toy suddenly bursting into flames or melting, even when it’s not in use. 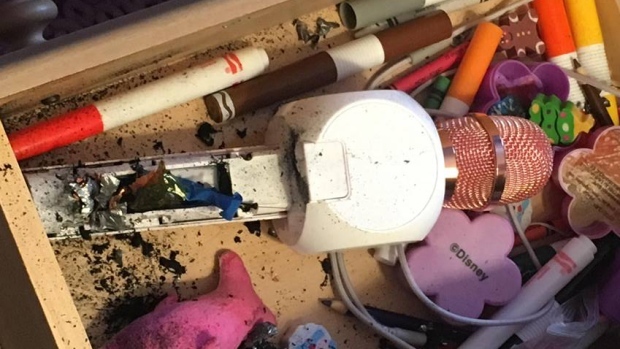 An Ontario mother spoke with CTVNews.ca on Wednesday after the toy exploded in her daughter’s bedroom, sparking a fire that caused her to sustain minor burns. 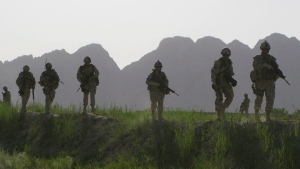 At least three similar incidents have been reported across Canada. On Thursday, the U.S.-based manufacturer asked retailers to immediately pull the product from stores. 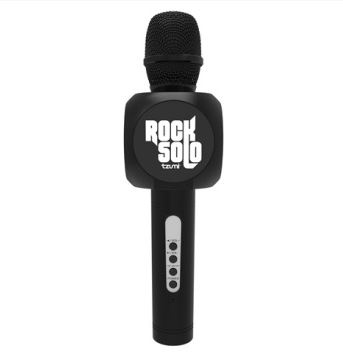 The toy, called the Rock Solo Bluetooth karaoke microphone, is made by Tzumi Electronics and sold in Walmart stores across Canada. It was also available via online retailers, such as Amazon. Wal-Mart Canada estimates that 70,000 of the toys have been sold across the country since November 2017. Wal-Mart issued a national recall via Health Canada on Thursday. In its recall, Wal-Mart Canada said it was aware of at least three reported incidents in Canada of the toys exploding, overheating or melting. 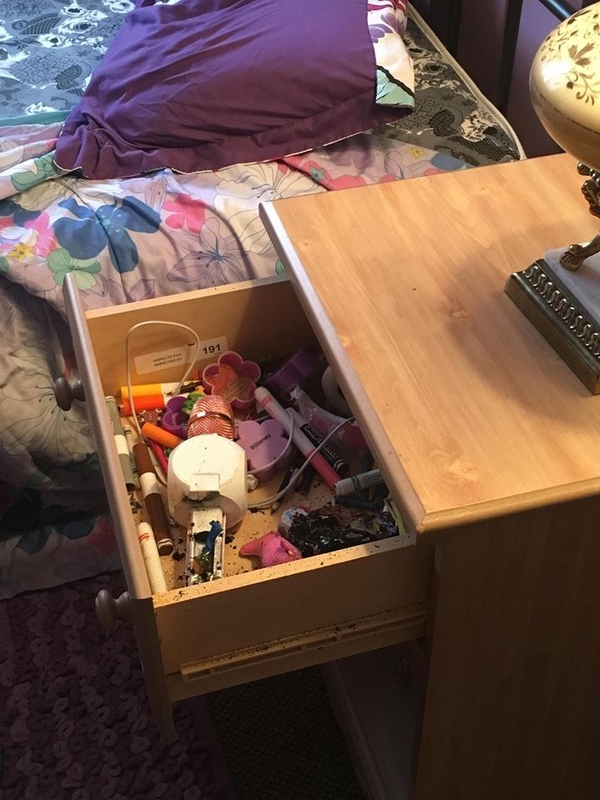 Ashley Sawatzky, a 29-year-old mother from London, Ont., was supposed to be at work on Wednesday morning, but decided to stay home when her 8-year-old daughter, Myah, fell ill.
Around 10:30 a.m., she heard a loud bang from her daughter’s bedroom. When she rushed inside, she found the room filled with thick, black smoke coming from the drawer of her daughter’s dresser. Inside the drawer was the karaoke microphone, a Christmas gift from Sawatzky’s parents. Flames were shooting from the hand-held portion of the microphone. Sawatzky was able to put out the fire, but sustained minor burns and inhaled some smoke from the incident. As for the toy, it was partially melted and covered in ashes. “It literally looked like it was burnt to a crisp,” she said. Strangely, the product was not plugged in at the time and hadn’t been used in weeks, Sawatzky said. In fact, Sawatzky said she planned to return the product to a Walmart store because she had difficulties charging the microphone. When Sawatzky followed up with Tzumi Electronics in an email, a customer experience associate offered to send her a replacement product if she mailed the burned product. “In order to send you a free replacement I need the old item back for testing,” the customer service agent wrote. She has since hired a lawyer and said she plans to take legal action. A similar incident happened last month in Nova Scotia, according to the Chronicle Herald. Sara Ford-Burke told the newspaper that, on Boxing Day, her family was out of the house when the toy burst into flames. Fortunately, her brother was home at the time and smelled the smoke, and used a glove to pat out the fire. After CTVNews.ca reached out to Tzumi Electronics on Wednesday, the company followed up in an additional email to Sawatzky to say they were “terribly sorry” and that senior leadership was made aware of the issue. The company phoned Sawatzky on Thursday, but she redirected the caller to her lawyer. In a statement to CTVNews.ca, a spokesperson for Tzumi Electronics said: “We regretted to learn of the incident Ashley Sawatzky experienced with one of our products. We take these matters very seriously, and thankfully no one was hurt in this incident. Product safety is of paramount concern to us as an organization." Wal-Mart Canada said it received three reports of incidents in Canada as of Jan. 29. In one case, the product exploded and caused property damage. In two other cases, the toy overheated and melted. Sawatzky said her daughter is “traumatized” by the incident and she’s afraid to sleep in her own bed. But learning that the product has been recalled has given Sawatzky some peace of mind. “Just to know that people are aware of it and it’s being taken care of makes it a little bit easier,” she said. The microphone wasn't being used when it burst into flames inside a drawer, Sawatzky said.